For large domestic gardens, park areas or industrial estates for the clearing of almost anything – leaves, grass cuttings, dust and debris, and on some machines, bulky litter such as cans and plastic bottles. Wheeled vacuums are therefore ideal for commercial use, for home use with large grounds, or for grounds maintenance professionals. Available in different sizes – more compact models for the domestic user looking to tidy smaller gardens, patios and pool areas. These user-friendly wheeled vacuums can operate on grass or hard tarmac so that you can manoeuvre around your property and clear up with confidence. 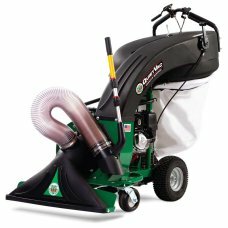 The larger commercial wheeled vacuums tend to be more powerful and have larger collectors so are more suited for commercial landscapers. We stock an extensive range of wheeled vacuums by brand leader Billy Goat. 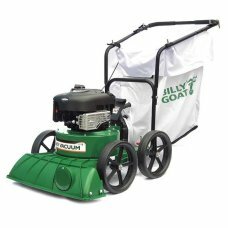 These Billy Goat wheeled vacuums deliver outstanding results in even the toughest conditions. They are ideal for even the most challenging commercial clearance work. For the domestic user there are a number of smaller models, most notably the compact Little Billy. Fallen leaves on grass, paths, and driveways can look unsightly and can become a hazzard when wet. T.. The Little Billy offers one of the best and most popular small walk-behind leaf vacuum’s.Being a sma.. 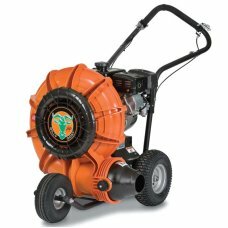 The Billy Goat F601V Force Blower is ideally suited for Small Property / Residential use.Billy Goat'.. 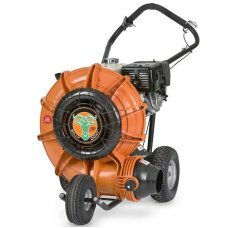 The Mighty Mac LB800EX wheeled blower is more comfortable to operate than handheld or backpack blowe.. The Mighty Mac LB1100EX wheeled blower is more comfortable to operate than handheld or backpack blow..
KV600 - Wheeled Vacuum Powerful suction and easy operation make cleanup a snap for leaves, seeds, mu.. 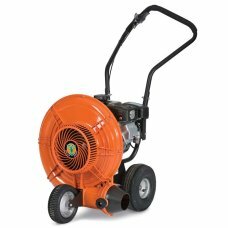 The Billy Goat F902S Force Blower is ideally suited for Large Property / Commercial use.Forget the f.. This is the Billy Goat KV601SP Estate Garden Leaf Vacuum - Self Propelled model. ( note this replace.. Step up to commercial clean up power! This unit is ideal for medium size maintenance contractors and.. 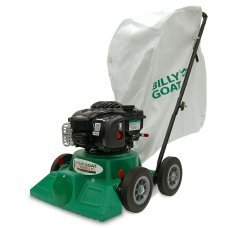 The Billy Goat KV650SPH Estate Garden Leaf Vacuum is a Self Propelled model with a Honda Engine. The.. 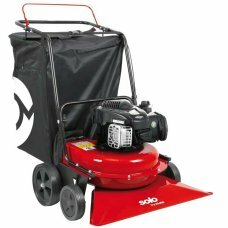 The Billy Goat F1302H Blower is ideal for Professional power and productivityThis Honda powered unit.. This Billy Goat 27" TKV650SPH Wheeled Vacuum offers an integral on-board 2" chipper. Now you ca.. Step up to the heavy-duty cleanup power of the MV lawn and litter vacuum.Designed for both hard.. Noted as the "World's Quietest", Billy Goat’s new 33" QUIETVAC touts the lowest noise level in its c..